Feefo Reviews - it’s our Customers that count! For a business to grow and to flourish it must continually be open to new ideas and innovations; remain competitive whilst adapting to change and continually invest in its staff, training and compliance processes to ensure that service levels remain impeccable and professional at all times. Of course, it is very easy to stand on the inside looking out and make assumptions about levels of service, but what’s more important and the mark of any business is the view of the customer, how they perceive the quality of service within a business and that a business listens to its customers, adapting and improving the quality of its service where necessary to ensure the highest standards are aspired to and achieved. Customer reviews are fundamental to this process and not only connect a business with its customers, but give them a true insight into the customer journey experience. 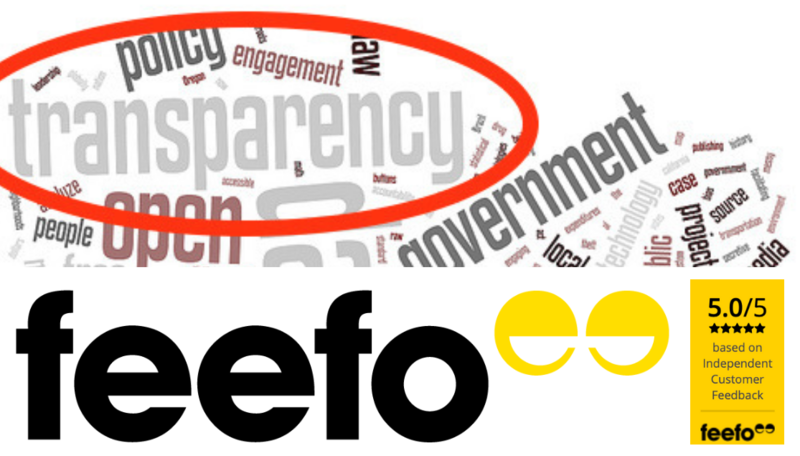 Feefo reviews allow chilterns to connect directly with our customers to get a clear and accurate view of our business. Consumers will be familiar with Feefo who provide customer reviews for leading businesses including:- Next, Thomas Cook, Expedia, Vauxhall and Axa to name a few. Feefo reviews together with information about Chilterns services can be found at on our website.